This article explains exciting hyacinth macaw facts. The Hyacinth Macaw (Anodorhynchus hyacinthinus) is bluish parrot and is endemic to South America. They are considered to be one of the longest parrot species. For the reason that people like to keep them for business purposes i.e. for buying and selling; the population has been observed to decline considerably. Even some countries have also known to export quite a number of these parrots. 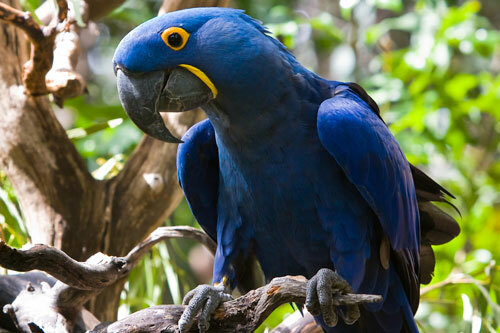 An estimate reveals that more than 10,000 hyacinth macaws had been taken from the forests. Their habitats have also been adversely affected due to the agricultural development in regions where these birds are abundant. They are also known to hunt down in Brazil for various domestic purposes. 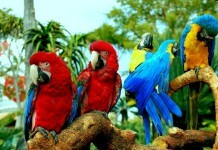 These macaws are 100 cm (3.3 feet). 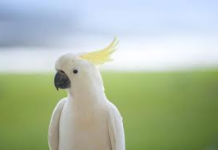 These types of parrots weigh around 1.2 – 1.7 kg (2.6 – 3.7 lb). The length of the wings is about 388 – 425 mm (15.3 – 16.7 inches). There is no significant difference between the plumages of males and female. Where Do Hyacinth Macaws Live? 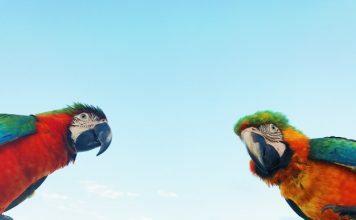 These parrots are the inhabitants of Brazil, South America, Paraguay, Bahia, Cerrado, Mato Grosso, Minas Gerais, Tocantins, Tocantins River, and Bolivia. Apart from these places, these birds are also found in the Amazon Basin of Brazil. They largely reside in the wetlands, woodlands, and other swamps. What Do Hyacinth Macaws Eat? Most of these macaws primarily feed on plants, native palms, and nuts. The strong beak of these parrots is strong enough to penetrate the kernels of hard nuts. They also rely on cocnuts. Acuri palms, bocaiuva palms, macadamia nuts, Pine nuts, fruits, seeds, vegetables and Brazil nuts. The breeding period of these parrot species begins in July and ends on December. They normally build their nests in tree cavities. Most of these nesting takes place on manduvi trees. The clutch size comprises 2 eggs. 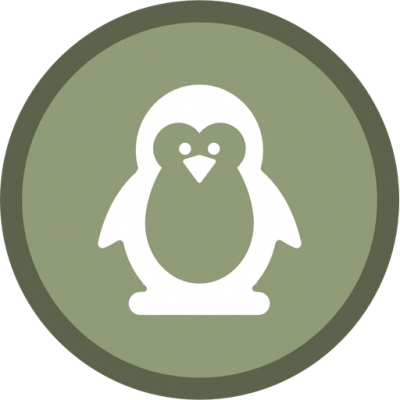 The incubation (keeping warm) period lasts for about 30 days. 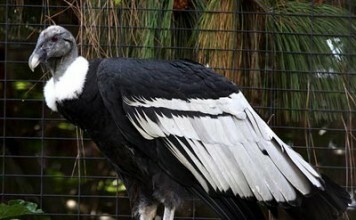 The females do most of the incubation. The chicks fledge out after 100 – 110 days. They remain with their parents and depend on them for about 6 months. These chicks become capable to breed after 6 – 7 years old. 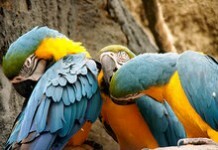 These macaws had to bear egg losses. Corvids, toucans, coatis, and possums are mainly responsible for eating macaw eggs. They do not have any notable predators.